I saw an article by Dan Mitchell on Big Government that I thought was interesting. In the article, Mitchell claims that even though the president wants a capital gains tax of 23.8 percent, that figure would actually be much higher because of inflation. The mini-documentary uses a simple but powerful example of what happens to an investor who bought an asset 10 years ago for $5,000 and sold it this year for $6,000. 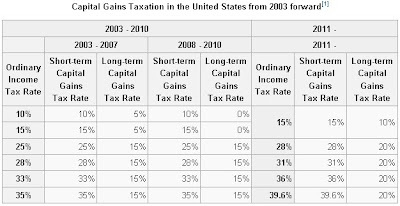 The IRS will want 15 percent of the $1,000 gain (Obama wants the tax burden on capital gains to climb to 23.9 percent, but that’s a separate issue). Some people may think that a 15 percent tax is reasonable, but how many of those people understand that inflation during the past 10 years was more than 27 percent, and $6,000 today is actually worth only about $4,700 after adjusting for the falling value of the dollar? I’m not a math genius, but if the government imposes a $150 tax (15 percent of $1,000) on an investor who lost nearly $300 ($5,000 became $4,700), that translates into an infinite tax rate. 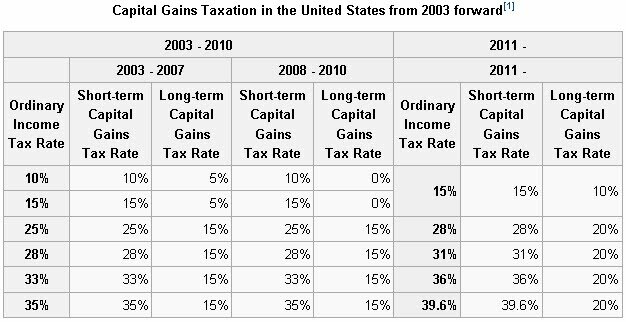 And if Obama pushed the tax rate to almost 24 percent, that infinite tax rate gets…um…even more infinite. Using that logic, all taxes should be eliminated because when adjusted for inflation, they are higher then listed. This argument is ridiculous and misleading - Mitchell oversimplifies the issue and states only a little bit of the complex tax. Why doesn't Mitchell discuss the tax for those in the 28 - 39.6 percent tax brackets, where the tax is slated to increase to match their ordinary income tax for short-term gains and 20 percent for long-tern gains? Considering Mitchell is only focusing on those who are in one of the lowest tax brackets - an economic group not typically known for investments - there is only one reason I can think of for why he would bring attention to this "infinite tax" - to imply that the president had gone back on his pledge not to raise taxes the middle class.